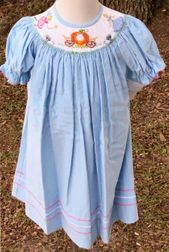 We just absolutely adore this light blue small wale corduroy dress by Vive La Fete. 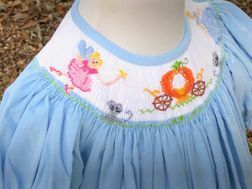 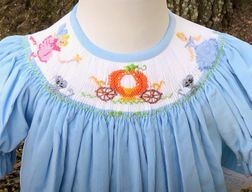 It is bishop smocked in white with Cinderella, her pumpkin carriage, her little mice friends and of course the Fairy Godmother! 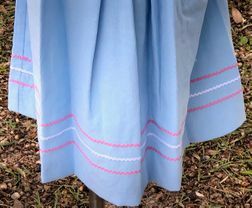 The bottom of the dress is completed with pink and white alternating ric rac.